TRILOK STEEL INDUSTRIES is privately owned supplier & Exporter of Stainless Steel 304L Pipethat are actually manufactured from high quality of standard raw materials and are designed as per with national and international standards.Trilok Steel Industries is largest stockholder of stainless steel 304L Pipe includes Stainless Steel 304L square Pipe,Stainless Steel 304L rectangular Pipe,Stainless steel 304L oval Pipe, stainless Steel 304L Hollow Pipe, Stainless Steel 304L Exhaust Pipe, and Stainless Steel 304L Round Pipeare used for piping systems in various indutsrial applications.We are famous as 304L stainless steel pipe suppliers. Trilok Steel Industries is an organization owned, fuller line distributor expertise in industrial products for companies demand in Mining, Oil Refineries, Steel and Aluminum Manufacturing, Utilities and Transportation, Equipment Manufacturing, Industrial Construction and Chemical manufacturing. 304L Stainless Steel Pipeis resistant to sulphuric acid concentrations up to 5 percent at temperatures as high as 120 Degree f (49 Degree c) at temperatures under 100 Degree f (38 Degree c), this alloy has excellent resistance to solutions of higher concentration. Stainless Steel 304L Pipeis a molybdenum bearing, low carbon content “l” grade austenitic stainless steel that provides improved corrosion resistance over 316 and 316l stainless steels. 304L Stainless Steel Seamless Pipe has slightly improved corrosion resistance over type 321 stainless steel in strongly oxidizing environments.. Type 304L Stainless Steel Pipe exhibit good machinability and SS 304L Pipe have excellent weld-ability characteristics with or without the addition of filler metals.Stainless Steel 304L Welded Pipeshas a niobium stabilized austenitic chromium-nickel stainless steel which was developed to provide an 18 – 8 type alloy with improved inter – granular – corrosion resistance. 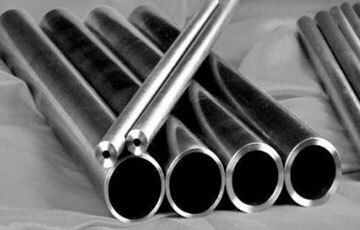 TRILOK STEEL INDUSTRIES is high acclaimed stainless steel 304L pipe supplier, we supply these Stainless Steel Seamless 304L Pipe after all quality parameters checks by experienced and good knowledge staff.We have huge inventory of Stainless Steel 304L Pipe in both form Seamless and welded.Our inventories primarily consist of SS 304L seamless pipein a size range from 1/2” to 8” NB. 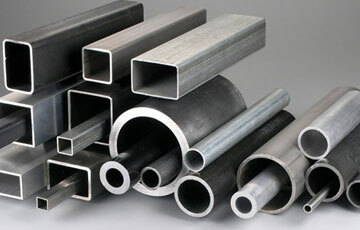 Trilok Steel Industries can also supply 304l stainless steel pipewith an abrasive polished finish and Polish Grit 600 -1200 suitable for architectural applications.304L Sch 10 Stainless steel pipesare supplied in the annealed condition to facilitate fabrication and ensure best corrosion resistance. Exhibit excellent corrosion resistance to a wide range of corrosive environments. Austenitic stainless steels are similar to 304 and 304L, but with the addition of molybdenum. Austenitic stainless steel that's similar to 304L and 304L, but with the addition of molybdenum. schedule 10 304L stainless steel pipe dimensions, schedule 40 304L stainless steel pipe dimensions,schedule 80 304L stainless steel pipe dimensions, 304L stainless steel exhaust pipe, SS 304L Pipes, SS 304L Hexagonal Pipe Dealer in India. 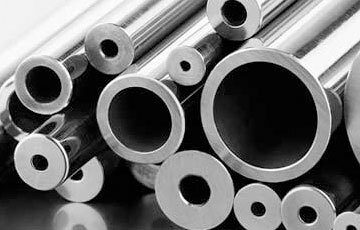 Suppliers of Stainless Steel 304L Pipes,Stainless Steel 304L Exhaust Pipe,Stainless Steel 304L Pipe Exporter, Stainless Steel 304L Hexagonal Pipe, stainless steel pipe 304L grade weight, SS 304L seamless Pipe Supplier in Mumbai, India. Stainless steel 304L pipes are finished in accordance with customer needs regarding dimensional and wall thickness specifications as well as heat treatment for more demanding applications. In general a stainless steel 304L seamless pipe is manufactured in sizes from 1/2" NB – 8" NB according to current standards API, ASTM, and ASME. If required for special projects we can also supply Stainless Steel 304L Pipe in POLISH GRIT 600 -1200 finish. Click below button to check full information of Stainless Steel 304L Pipe Price.